The customers who came from Saudi Arabia visited us in October, 2015. 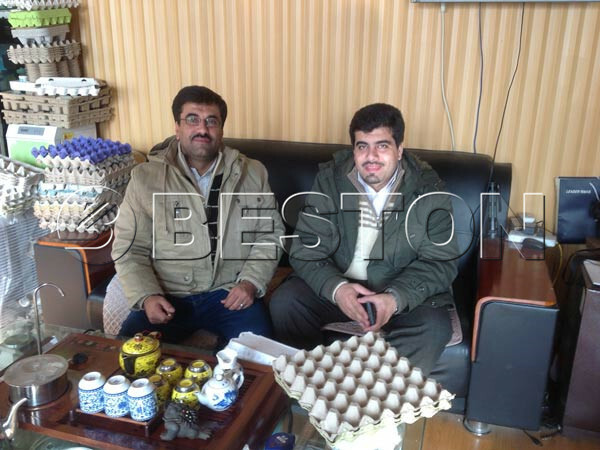 After they visiting us, they bought two sets of egg tray making machines from our factory. As the best one of egg tray making machine manufacturers, we guarantee that we will provide the machine with superior material, advanced technology, and perfect service. Hope to win-win with you.